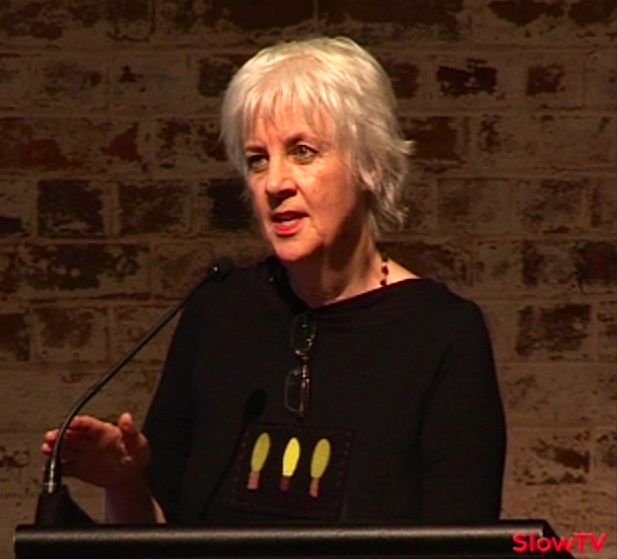 Amanda Lohrey winner of the last Queensland Premier’s Literary Award for Fiction (2011) for some time. She won for her book Reading Madame Bovary which was described by the judges as "a refined and beautifully crafted work. This collection of stories—the ‘best of Lohrey’ from the last 15 years—is highly literary and technically brilliant, and also enjoyably readable. At times subtly experimental, but always wise and astute, these stories explore the dilemmas of modern life with sensitivity and passion. This book exemplifies the rich texture of Australian literature and the sophistication of literary talent". While “Queensland taxpayers” maybe overjoyed that the arts are at last contributing to the economic well-being of the ‘sunshine state’, the speed at which Mr Newman and his new government has turned on the Arts community is cause for concern. Obviously the dollar amounts in cutting funding to the Arts will not make a huge difference to the state’s bottom line ( if you want to save money cut some of the subsidies to the mining industry), but the symbolic impact is huge. Premier Newman has announced that the Queensland he leads will not be concerned with the creative imagination and if you are a writer or artist attempting to make a living in Queensland you better find a way of leveraging the resources boom quick smart. For Queenslanders this may be the first of many attacks on the arts. Queensland thearte companies, galleries and filmmakers are probably feeling very nervous about now. In general artist and writers (with a few exceptions) don’t vote for conservative governments so they are going make a easy target for the old fashion Queensland LNP (read National Party) government. For those of use living outside of Queensland the threat is probably not confined to the sun shine state. There are rumours that the NSW government is reviewing its Arts funding policies and the Victorian and WA governments are probably not far behind. While they may not have acted as fast as the new Queensland governments they may be tempted to at least follow Mr Newman a little way down the down the path into the dying garden. This entry was posted in Issue 3, Queensland Premier’s Literary Awards and tagged Amanda Lohrey, Arts Funding, John Birmingham, literature, politics by Mark Roberts. Bookmark the permalink. This is just ridiculous, and sadly predictable. So this is Campbell Newman’s idea of how to promote Australian culture? Presumably we let the markets decide? So our greatest living writer is Bryce Courtenay, Mr Newman? Give us a break. It’s an appalling turn of events and we can only despair to think what Tony Abbott might do if he gets elected!! I think we all need to move to Finland where the governement is hugely supportive and respective of the Arts. Agreed! It is an event that challenges every writerly act, every advance made spanning generations …if Abbot is elected then there will be no end to this Great Wall. Finland here we come! Shortsighted, malicious, and not done to save money but to make a statement – and only the beginning – as I said on twitter c/o captain haddock: Bald-headed Budgerigars! Baboons, Billions of Bilious Blue BlisteringBarnacles! Troglodytes! Turncoats! Malicious indeed – moreso than malaware! Yes, only the beginning. Blithtering billiouthneth! I can’t help but wonder about those who are not concerned. Three years later the Federal G’ment has squeezed billions from the Arts. Don’t see anyone objecting though. It’s certainly a sad commentary on the dependency of the arts on Government subsidies. There’s nothing stopping private enterprise from underwriting State or even national awards. IP, a Brisbane-based independent, unsupported by the Queensland Government because we are private has been hosting the national IP Picks Awards for the past 15 years without a cent of government support, and hence without any government interference. We’ll continue to do so – in Can-do-Land (has a certain republican ring to it, doesn’t it? Queensland writer forced to sign gag order by parole board. What happened with the gag order? Anyone stick up for her?